Once the below setup has been completed learn how to approve timesheet entries here. CloudExtend bundle in NetSuite Account. 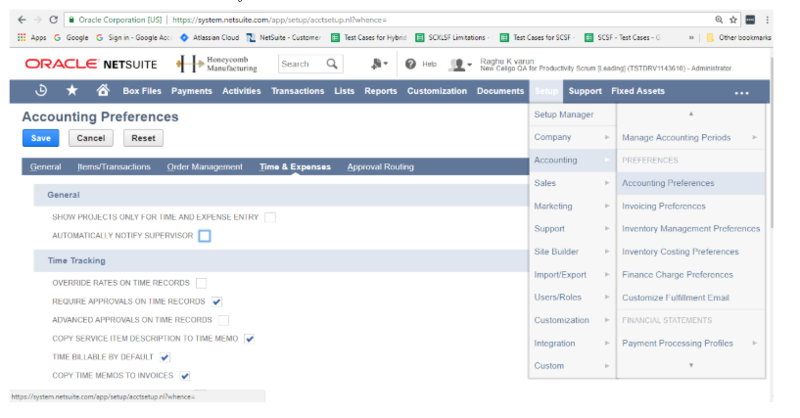 Once the CloudExtend bundle has been installed your NetSuite Admin will need to activate it with a license key and company specific URL supplied by your CloudExtend Account Executive. If you do not have a key email cloudextend-sales@celigo.com. Once Actionable Messaging is enabled both native NetSuite and CloudExtend will send email alerts to supervisors alerts when they have time or expense entries to approve. Follow the steps below to disable the native NetSuite communications to avoid duplicates. Disable "Automatically Notify Supervisor" checkbox. Ensure that each employee has a valid supervisor OR has set up specific supervisors for time and expense notifications. Optional, but recommended, whitelist actionable-messaging@celigo.com in your Exchange server as this is the address that will be sending the Actionable Messages to you.